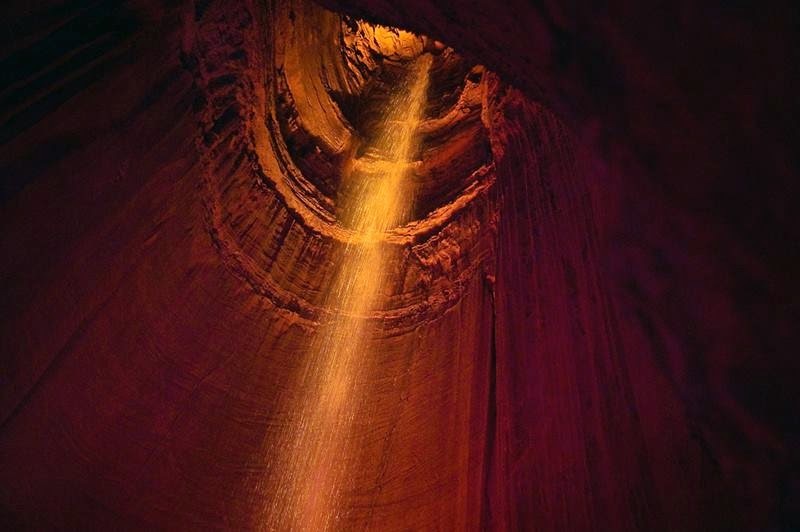 Ruby Falls, The underground waterfall located within Lookout Mountain, near Chattanooga, Tennessee in the United States. 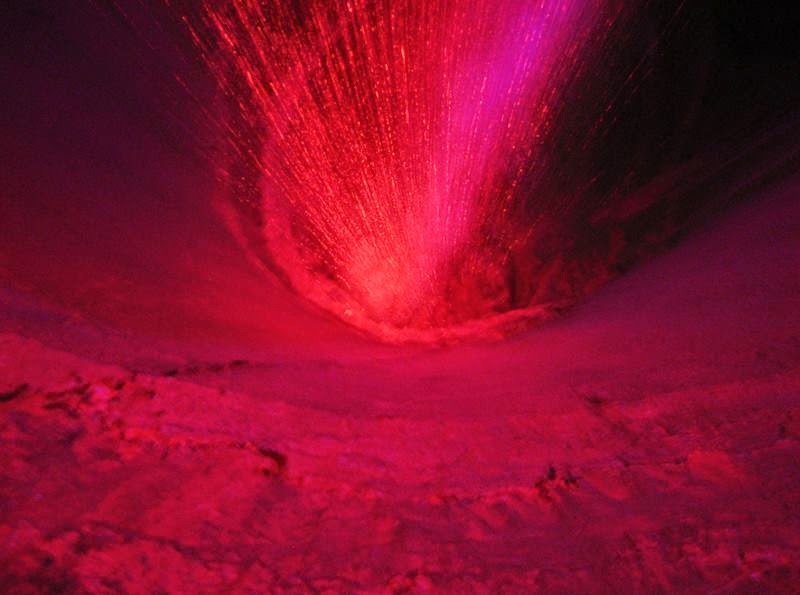 While at the waterfall guests will marvel at the spectacular light display which takes place in the large vaulted dome room known as “Solomon’s Temple”. This room is over 145 feet tall and located 1120 feet beneath the surface of Lookout Mountain. 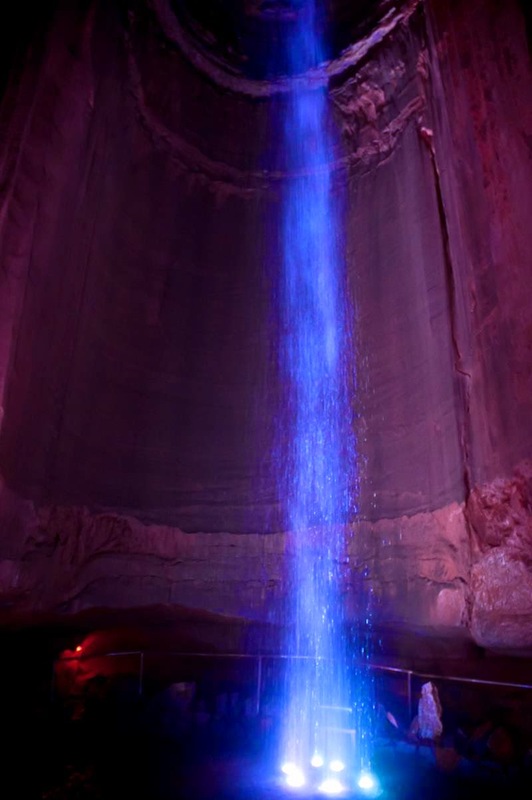 This makes Ruby Falls one of the deepest commercial caves in the country. It collects in a pool in the cave floor and then continues through the mountain until finally joining the Tennessee River at the base of Lookout Mountain. The historic attraction has welcomed millions of guests over its long colorful history and continues to be a tradition for generations of visitors to the Chattanooga area. 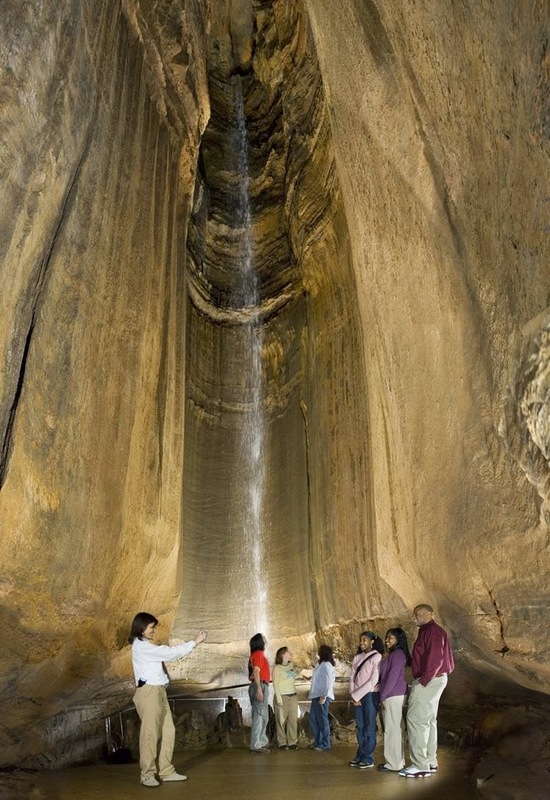 Back in 1928 when Ruby Falls founder Leo Lambert had the idea of opening a cave as a tourist attraction, tourism as we know it today was in its infancy. Little did anyone know that his "roadside attraction" would soon be a must see for families from all over the world. 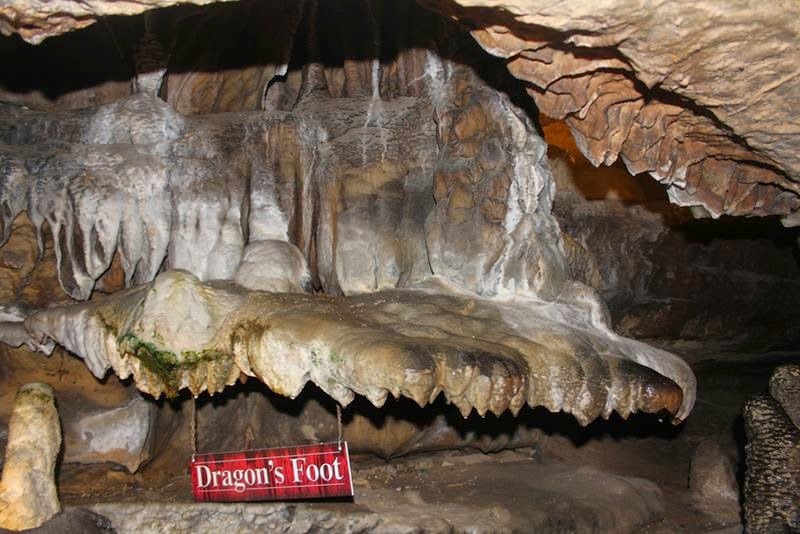 Ruby Falls Cave, unlike Lookout Mountain Cave, had no natural openings and could not be entered until the 20th Century; it therefore does not have the various artifacts which are often associated with caves in the southeastern United States. 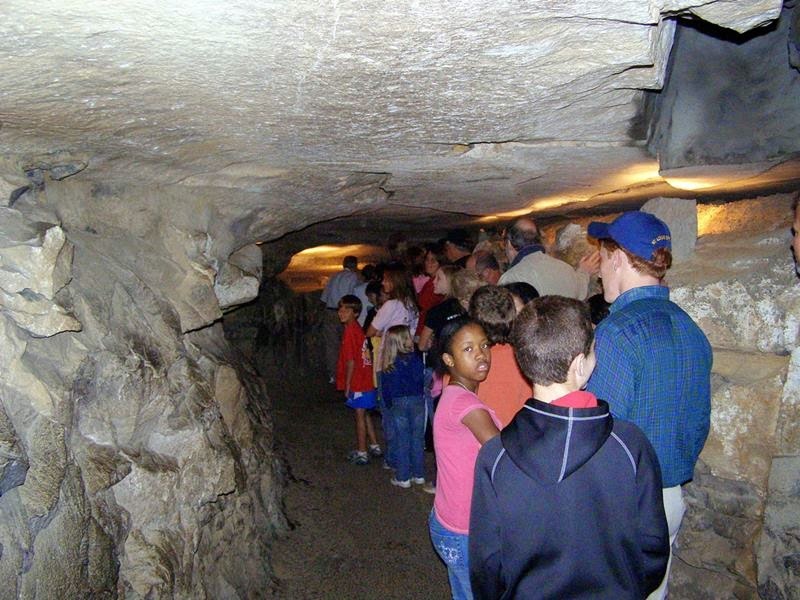 In 1905 the natural entrance to Lookout Mountain Cave was closed during the construction of a railway tunnel. In the 1920s a chemist and cave enthusiast named Leo Lambert thought that he could re-open the cave as a tourist attraction, and formed a company to do so. He planned to make an opening further up the mountain than the original opening and transport tourists to the cave via an elevator. For this purpose, his company purchased land on the side of Lookout Mountain above Lookout Mountain Cave and in 1928 began to drill through the limestone. In doing so, they discovered a small passageway about 18 inches high and four feet wide. 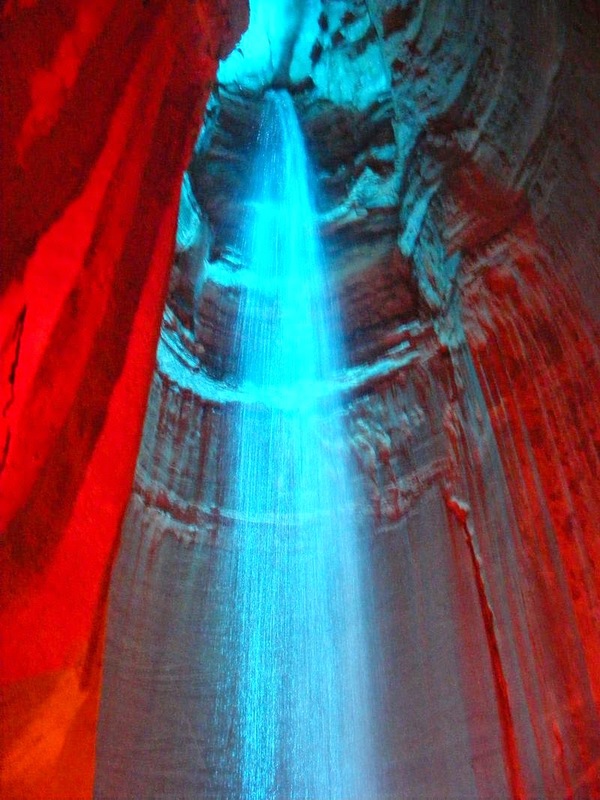 Exploring this opening, Lambert discovered the formerly hidden Ruby Falls Cave and its waterfall. On his next trip to visit the cave, Lambert took his wife Ruby, and told her that he would name the falls after her. In 1954, the pathway around the basin was cut in order to allow tourists a better view of the falls. This began the tour-related quip regarding not drinking the falls' water. Though pure and thus safe to drink, it has large concentrations of magnesium from the strata of the mountain, which makes it a natural laxative. 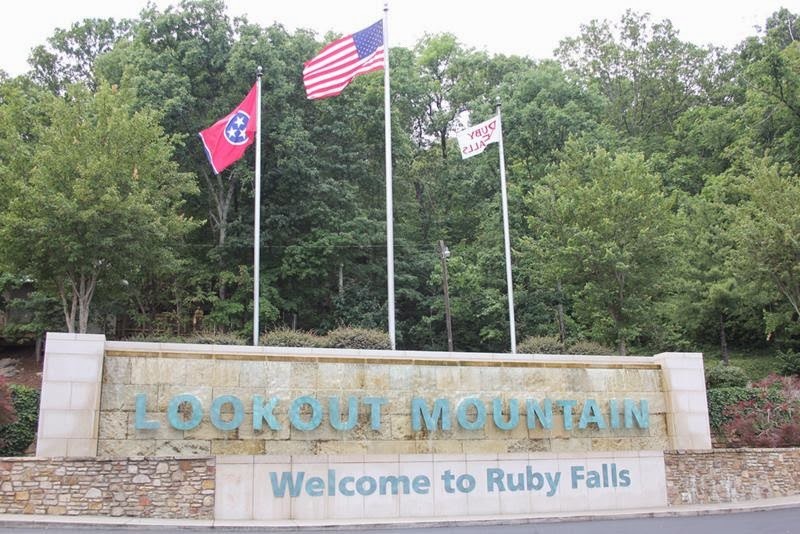 Ruby Falls and the larger Lookout Mountain Caverns complex have been designated a National Historic Landmark. It is often associated with the nearby Rock City attraction, which lies atop Lookout Mountain. 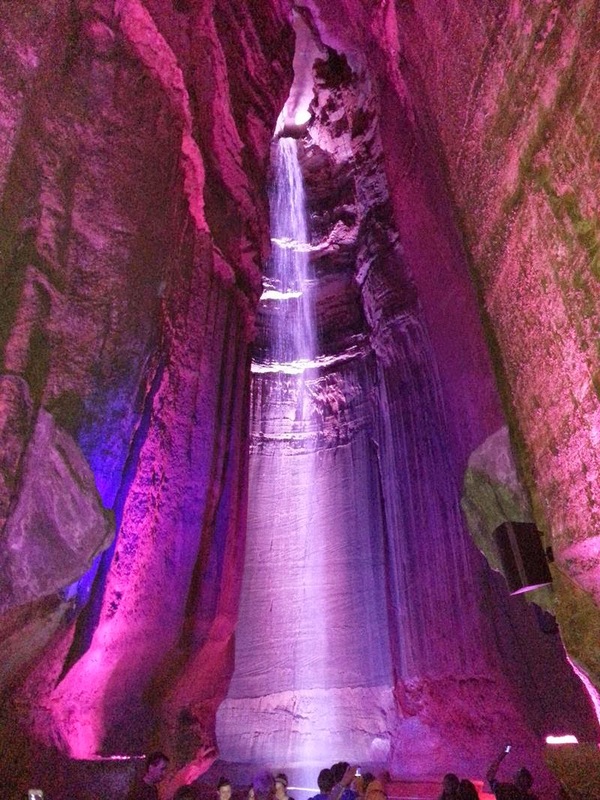 Ruby Falls is the perfect getaway for every day, even on rainy days. 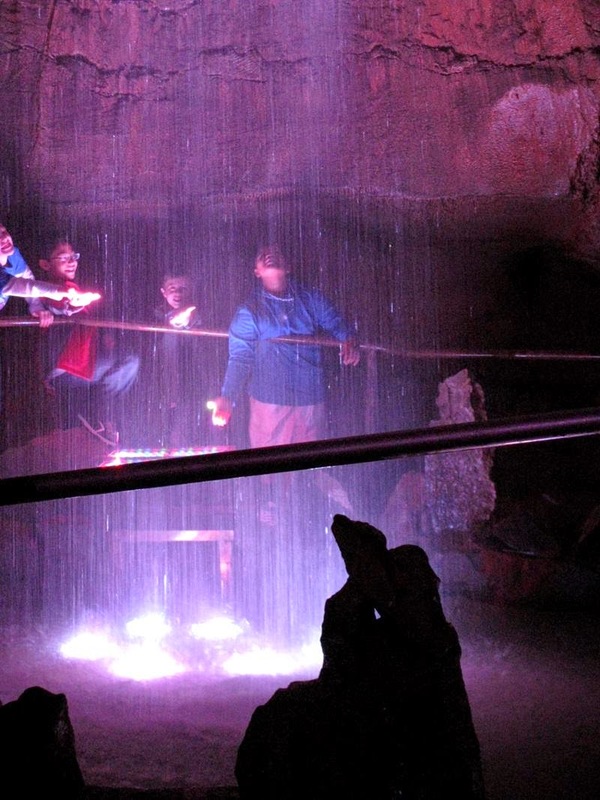 Due to its underground location, it never rains at Ruby Falls. Precipitation actually affects the tour in a positive way. Because the many streams !!! 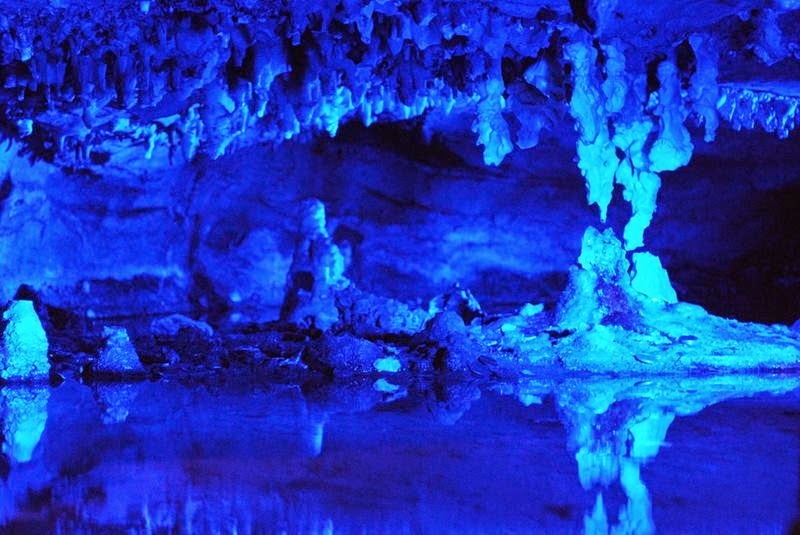 Electric lights were installed in the cave, making it one of the first commercial caves to be so outfitted.